John attended Merrist Wood Horticultural College in 1976 to study Landscape Management before joining Comtec (UK) Ltd in the role of Contracts Manager. Promoted within the Company to oversee Erosion Control projects on an international basis, operating in Gabon, Kenya, Tanzania, Singapore & Malaysia. In 1984 he was recruited to assist former Colleagues in the establishment of a landscape contracting company trading as Willerby Landscapes Ltd. Working with a close knit Management Team the reputation & stature of the Company has grown year on year. Under his Stewardship Willerby’s have achieved an unprecedented six BALI Grand awards & numerous Principal awards. The Company regularly constructs Gold medal winning gardens at Chelsea Flower Show. In 2005, as recognition of his contribution to the industry, he was made an honorary member of the Kew Guild. John in 2019 assumes the role of the chair of the adjudicators panel. Mick has degrees in Environmental Science and Landscape Architecture. He also studied landscape construction at Merrist Wood College in the 1980s. He has had a lifelong interest and engagement in nature conservation and the environment, as well as experience in training people with disabilities in the landscape industry. He was a long-term member of the Landscape Training Group and was a judge for Tunbridge Wells in Bloom. With over 30 years’ experience in the landscape industry, he worked for some of the largest landscape companies in England before setting up Linden Landscapes. They have built hundreds of gardens, both large and small, and won numerous BALI and APL awards in that time. In 2016 Mick visited the GaLaBau in Nuremberg where Linden Landscapes was awarded the European Landscape Contractors Association (ELCA) International Trend Award ‘Building with Green’. Jason Lock recently joined Bowles & Wyer as Head of Design and Build, formerly director and owner of Deakinlock Garden Design he has has been working in the industry for 30 years. A former director of Notcutts Landscapes he has a wide knowledge of both design and construction, he became a Registered Member of the Society of Garden Designers in 1994, servicing on it’s committee for 2 years; Jason was also Chairman of the Association of Professional Landscapers for 10 years and CEO for 2 years. He became a Registered Designer with BALI in 2010 and has taught at the London College of Garden Design. Jason has also won numerous awards throughout his career to date including RHS Chelsea, Hampton Court, Gardeners World, APL Awards and Principle BALI Awards. RHS Show judge of long standing, recipient of the RHS Associate of Honour Accolade in 2011 and Managing Director of Hillier Landscapes. Richard’s career in landscaping spans more than 50 years. 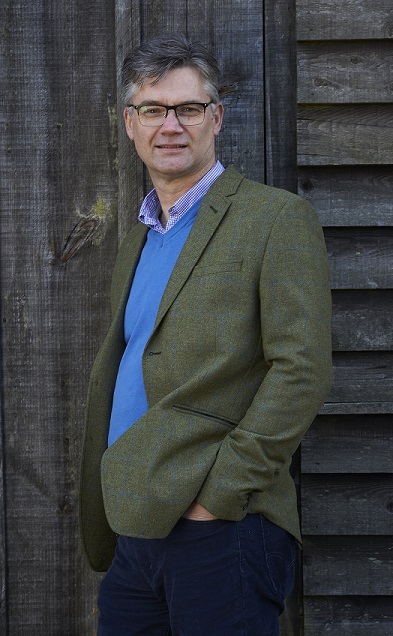 After studying at Pershore College and an initial three years with Lovejoy’s in Landscape Architecture he joined Hillier Landscapes eventually becoming owner and Managing Director. Within this time Hillier’s have won principal BALI awards and the Grand Award in 2007. He has chaired the SW region of BALI and been on national council. For the past 26 years Richard has been an RHS show garden judge and member of the Show Gardens Committee. As an ardent show garden contractor at RHS shows, fourteen gold medals and four best in show have been won. In 2015 he celebrated 50 continuous years at Chelsea Flower Show either as exhibitor or Judge. Richard was a Governor of Pershore College in the 90’s and is a former Board member of the HTA. Robin’s career in landscaping began in 1979 and after gaining ten years’ practical experience building and planting gardens he progressed into design. As managing director of Wiltshire-based landscape design practice Robin Williams & Associates, he now specialises in private gardens and landscapes, both in the UK and internationally, more recently in the Ukraine, Poland and Crimea. The recipient of numerous awards including RHS Gold medals, Robin is co-director of the Garden Design School and also lectures on the subject of garden and landscape design. He is a Fellow of the Society of Garden Designers, a BALI Registered Designer and former BALI board director, and a certified member of the Association of Professional Landscape Designers (USA). He has been on the BALI Awards adjudication panel since 2005. Andrew began his landscaping career as an apprentice with Liverpool Corporation before studying at Flintshire College of Horticulture and joining Gavin Jones. He ran his own landscape business for a number of years and then became contracts manager at Liverpool and Stoke Garden Festivals. He eventually took on the role of director of horticulture for the 1990 National Garden Festival at Gateshead. He joined Sport & Landscape Development (SLD) as senior consultant, during which time he was resident engineer for a landscaping scheme in Wales and a multi-million pound project at Canary Wharf. Following a period as senior lecturer in landscape studies at the Welsh College of Horticulture, Andrew returned to SLD as principal consultant for ten years before retirement. He was regional chairman for BALI North West and now carries out vetting for BALI in the South West region. Steve trained in geography and geology, taking a postgraduate landscape course at Edinburgh. As a landscape architect he worked for various local government authorities before joining the Welsh College of Horticulture in 1979 as a lecturer, rising to college marketing director. During his tenure he developed the three-year national diploma course in interior landscaping. Winning Gold medals at Liverpool and Stoke Garden Festivals, in 1999 he established an event and design company, winning Gold and Best in Show at RHS Chelsea Flower Show in 2000, 2004 and 2006. Madge Moore is currently the chair of Yorkshire’s Food, Farming and Rural Network. The Network acts on behalf of businesses, rural support agencies and trade bodies in Yorkshire to raise issues and concerns to central government. Formerly a national director for Lantra, the Sector Skills Council for the land based sector, Madge was responsible for developing close working relations between the Sector Skills Council, employers and a wide range of government departments, agencies and learning providers. Peter has held many posts, both regionally and nationally, within BALI, including being national chairman in 1978-79. Since retiring from business he has also served as an independent dispute adjudicator and a BALI vetting officer. He is currently chairman of BALI's training and education charity, the Geoffrey Chalk Memorial Award Fund, otherwise known as the BALI Chalk Fund. He was awarded on OBE 'for services to charity and to the landscape industry in the North West' in the Queen's 2012 Jubilee Birthday Honours List. Well known across the industry Nick has curated Palmstead’s 11 successful annual Soft Landscape Workshops and brought together designers, land owners and contractors. Having just retired to practise as a consultant, he looks forward to putting something back as a: GoLandscape Ambassador, BALI Chalk trustee and BALI Awards judge. Though initially trained as a Landscape Architect he worked as a Landscape Manager in Local Authorities from Liverpool to Stevenage and finally as the Parks Manager at Canterbury. He then brought his customer experience to two Kent nurseries Coblands and for the last 15 years at Palmstead Nurseries. He has been the Chair for the BALI South Thames region on three occasions and on the committee for 20+ years. He also held the National chairman’s job and was a BALI Awards judge for close to 5 years up to 2005. He’s passionate about plants and the Landscape Industry and has been a promoter of whole industry collaboration.